Generally, we have two kinds of videos stored on our iPhone: one which is imported by iTunes and the other videos are which we have recorded through the camera. These videos take a lot of space and you would have to transfer these videos to free up some memory. So if you want to transfer or backup your videos from iPhone to PC, then this blog post will guide you on how to download photos and videos from iPhone to PC/Mac. In this guide we will go through at least 4 methods to get the answer for how to transfer videos from iPhone X/8/7/SE/6/6s/5s to computer. Let's get started. Just like SkyDrive or Google drive, you can use iCloud to download videos from iPhone to a computer over the cloud. The iCloud is very easy and is available for both Mac and Windows. Now check the steps of how to use iCloud to download iPhone videos. 1. First, go to iCloud settings in your iPhone and turn on the option for the iCloud Photo library. 2. After that, all of the photos and videos on your iOS device will be automatically uploaded to iCloud when connected to Wi-Fi. 3. You can then visit the iCloud website and download the synced media videos which you want on your PC or a good way is also doing it by using the desktop app of iCloud. 4. On your computer, click Options nearby Photos and turn on iCloud Photo Library as well. 5. All synced videos will be stored in your photo library. Mac users can open Photos App to view the files. If you are Windows users, please go to This PC > iCloud Photos > Downloads to access and copy videos from iPhone to computer. You can transfer videos from your iPhone to a computer via email. It's a very simple and easy method, all you have to do is just email all videos to yourself and then download all files by the same email ID on your PC or Mac or even on other mobile devices. Follow these steps below. 1. Select the videos you want to transfer off your iPhone and tap on the upload icon. 2. Select Mail from the menu list. 3. This will open Mail application and the selected videos will be attached. 4. Then send email to your own email ID or any other associated id. 5. Now on the desktop, open the same email from a browser and download all the videos and that's it. With the advancement in iPhone camera of every latest iPhone model, the videos you record on your iPhone are of High definition quality and take a lot of GBs of phone storage, hence to free some memory you need to transfer videos from iPhone to Mac or PC with the simplest available way that is using a USB cable. 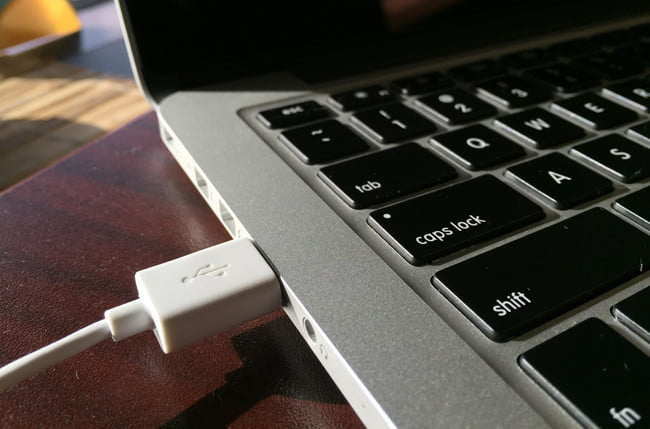 Here are steps to how to get videos from iPhone to Pc and Mac quickly with USB cable. 1. Connect your iPhone to your PC using the USB cable that came with your iPhone. 2. Press windows key + E to start the File Explorer. 3. Unlock your iPhone. Hit on "Trust this computer" if needed. 4. Go to my computer and under Portable Devices open your iPhone's folder. 5. Click on Internal Storage > DCIM> 100 Apple etc and copy paste the videos. 6. Get hold of the Ctrl key while selecting different videos by clicking them. 1. If you have got a USB cable that came up with your iPhone box then one of the simplest ways of transferring videos to Mac is to just plug and connect your iPhone to Mac. 2. Photos app will open by default > unlock your iPhone and "confirm device recognition" on your iPhone. 3. Photos app will show all the videos and photos which are stored in your phone's memory. 4. Click "Import" option to transfer video or photos to your Mac. 5. You can select multiple videos and photos from gallery to transfer to your Mac. 6. You can also set photos and videos to auto delete after they are transferred to your Mac. Tenorshare iCareFone is one of the most advanced applications to transfer data between iPhone and PC. 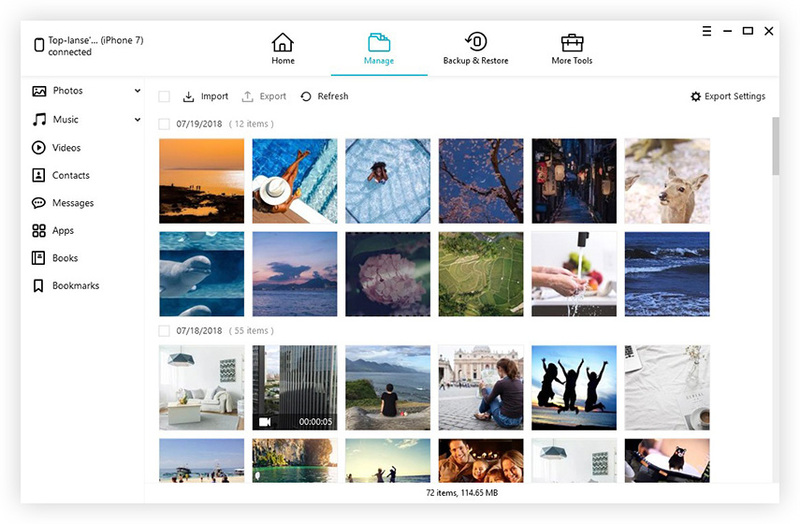 This app can help you manage all of your iPhone stuff especially videos, photos. There is no doubt that iCareFone works better and faster than iTunes and has no space limitations like iCloud. 1. Download and install the application, both Mac and Windows versions are available. 2. Install the software and connect your iPhone to PC. Tap "Trust this computer". 3. Click on "Files manager" function. 4. Select Videos from the list icon of media types. 5. Videos on your iPhone will be selected and shown on the screen automatically. Click on Export to move videos from your iPhone to computer. So folks! you have already got you answers how to download pictures and videos from iPhone to PC/Mac in 4 different ways, all of the methods are very easy, but personally, I recommend Tenorshare iCareFone because it's the smartest app for iPhone data transfer and not only it can transfer data but it's good to fix iPhone related problems. Tenorshare iCareFone is very easy to use and effective for new users. Download Tenorshare iCareFone and see it yourself!